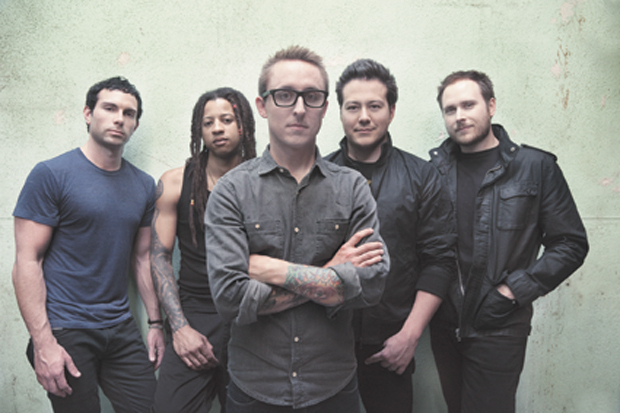 Yellowcard, the band who brought violin and punk together, are about to merge acoustic and rock as they embark on an Australian tour that will see them perform their Ocean Avenue album acoustically in its entirety, followed by a full-band, electric set. GEORGE GREEN speaks with violinist, Sean Mackin, in the lead up to their show at Capitol on Thursday, October 31. It was a decade ago that Yellowcard announced themselves with the release of their iconic Ocean Avenue album. The release allowed the band to break free of the ‘they’re the punk band with the violinist’ stereotype and be judged on their own merits – and the fans judged them warmly. Now, 10 years on, the band are about to repay their fans with a uniquely intimate, yet traditional Yellowcard rock show. The prospect of an acoustic performance followed by a full-out rock assault is clearly an enticing one. “The majority of our songs start out acoustically during the writing process, and that tends to compliment the violin nicely, but to tour in this type of format is exciting for us,” Mackin explains. Not only are Yellowcard tackling Ocean Avenue acoustically in a live forum, but they’ve also got a treat for those who want to experience the album acoustically long after the band have left our shores. “Surprise, Yellowcard fans. We’re releasing a completely re-recorded acoustic version of Ocean Avenue. If you’re a new fan you get to make a first impression on a record that sounds completely different from the original, and a lot of these songs have been reimagined so older fans get to experience the songs in a completely different light. Some of these songs have naturally evolved over time, and it was great to be able to capture that on record. “Some songs definitely have a lot of changes thrown in, and some stay pretty close to their original structure. I guess it all depends on the song. We’re a pretty good democracy here in the Yellowcard camp, so if I have found that over time I’ve wanted to change one of my violin parts, I usually run it past the other guys and see what they think. I mean, if you’re playing live and you want to throw something in that you enjoy and it doesn’t detract from the songs then that happens, but it’s different when you’re talking about actually re-recording a song.